I have always said that I would never have survived the Titanic. Partly because I assumed that I would have been down in steerage and wouldn’t have had much of a chance to start with. But mostly, because I have never seen myself as one who was all that great in crisis situations. However, I have also always said that if I were with Felix, I would have survived, because he is like a wolf among the sheep. He would have been the Jack to my Rose, but he would have found two doors for us to float on top of and we would have both survived. I believe that with all of my heart. But me in crisis? Well, I’m often too busy worrying about others to see the big picture. I am usually too focused on feelings and don’t see the ways out. I don’t think three steps in advance. I don’t always decide things in a super fast fashion because I am too busy considering all of the options first. So, when I found myself in probably one of the scariest situations of my adult life that I can remember yesterday…I have to say that I am feeling just a little bit proud of how I handled things. I was concerned. I responded quickly. I yelled for help. I made some things happen. And I feel like I stayed pretty calm. However, over the course of the next couple of hours, I was told to calm down at least four different times. Despite the fact that I felt like I was being award-winningly calm. It seems in crisis…that calm is a relative term. First, the 911 dispatcher told me to calm down so she could hear me. I reminded her that I was in a movie theater and was trying to be heard over the Mickey Mouse cartoon playing as a time filler in the background. The ambulance driver told me to calm down so he could give me the hospital address in this unfamiliar town that I rarely drive around in. I told him I was as calm as I could be with four kiddos under the age of 12 (two of which do not belong to me, two of which were hysterical) in my possession during this time. The administrative assistant at the hospital desk told me to calm down as I explained that I was just trying to help reunite a semi -in shock family member who didn’t know what was happening with his spouse. And then the security guard also told me to calm down. To which I looked him in the eye and responded, “I. Am. Calm. This is my calm right now.” I give him credit…He immediately worked to reunite my family members, so I’m calling it a WIN. Over the next few hours, I calmly kept four kiddos, three husbands, and one mother calm while we waited. I made small talk and made plans to make sure everyone was taken care of. I calmly provided a quick dinner (Thanks Papa John’s) and entertainment (Thanks hotel swimming pool) for the two extremely wild young boys and two semi-hysterical and totally exhausted, old-enough-to-understand-what-was-going-on girls for the evening. And then, later that night, I calmly worked with my Y, through the tummy aches and the tears, as she responded much like I used to when I was her age in these situations. On this, the last day of NaBloPoMo, Blogember, YeahWrite, BlogHer, which marks for me, 47 days of daily blogging, I can say that I survived. And I am proud of it. I remained calm. I did it. P.S. All turned out well. All of my people are well. Revise. — A New Holiday Calendar. Last week, my alarm clock started making its typical noise at 4:30 a.m. But as I jerked myself awake and reached for the snooze button, I realized the song playing was Wham!’s Last Christmas. Which is wrong on so many levels. 1) That song was stuck in my head for the rest of the day. 2) I’m not a George Michael fan. But mostly, 3) It is not even Thanksgiving yet, why are we hearing Christmas songs already?! I shouldn’t have been surprised, I started seeing red and green stuff mixed in with the orange and black back in October. So, what if every holiday were like Christmas these days? What if every holiday started 2 months ahead of its schedule? First of all, we could mark Valentine’s Day on New Year’s Eve. I think single folks everywhere might get on board with this one. Less pressure to find a date for one night, so less stress about New Year’s kisses and February 14th plans. Done. And I don’t think anyone who would be drinking green beer for St. Patty’s Day would mind an earlier start. Seriously, if you are already on board with drinking green beer, I’m thinking you don’t really care which day this occurs, right? However, decorating and hiding Easter Eggs in February could pose a problem. Especially if there is snow on the ground. Fireworks would be less fun if it is too cool in the evening to sit out under the stars on the 4th of May. And as for Thanksgiving, well, that should really be celebrated every day of the year. Being thankful. Being grateful. Helping others. Family time. Yes, that is a holiday for every day. 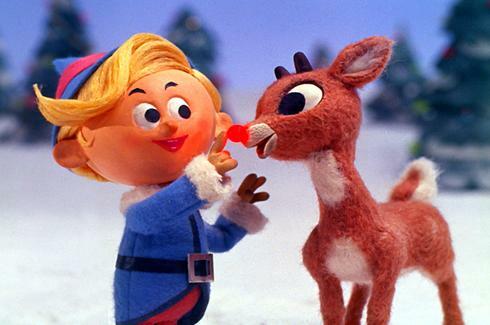 Now, I’m off to watch Rudolph the Red Nosed Reindeer…before Thanksgiving. Deliver. — Put the Giving Back in the Thanks. Tonight during a meeting, I watched as my friend took a phone call and jotted down some directions. At the end of the meeting, we loaded a box into the back of my car. A box containing all of the trimmings of a Thanksgiving Day dinner. A turkey. A bag of potatoes. Cans of corn and green beans. Rolls. Stuffing. A Thanksgiving Day dinner complete with a pumpkin pie. I got in my car, turned the heat on to high, turned on the light and checked the address and directions one more time. As I drove, many thoughts raced through my mind. Thinking about the meeting tonight. Thoughts about the great birthday weekend I had. Recalling the wonderful family dinner I enjoyed this evening. Then the typical think about what-I-did-today list. Then I started counting off the what-I-have-to-do-when-I-get-home list. Followed soon after by the what-I-need-to-do-tomorrow list. Suddenly, I realized I had been driving longer than I thought I would be. Did I miss it? Nope. Here it is. A right here. A left here. I had no idea this neighborhood even existed in my little town. I have lived here forever, how do I not know this street was here? One more right. First house on the right. There. The porch light was on. As I pulled into the driveway, a young man came out to greet me. I opened the hatch on the trunk and lifted the box out to hand to him. Even though I was talking to a grown man with a family ,the Momma in me couldn’t resist to remind him to put the turkey in the freezer. I’m sure he was thinking, “Well, Duh!” But he was kind and polite enough not to say that out loud. Five minutes of driving. Thirty seconds of small talk. One box full of a Thanksgiving dinner. Delivered. And as I got back into my car and backed slowly and carefully out of their driveway, I realized I was crying. Crying for all that I have. Crying for all they must not have. Crying for all of the people that came together to make this dinner happen. Crying for all of those who won’t have someone show up at 8:00 p.m. on a Sunday to deliver a box of dinner. Crying for the neighbors who may have just as much need, who just didn’t know or weren’t connected or referred or who didn’t sign up. This Thanksgiving, This Christmas. This season. Let’s all teach our children to be thankful and to be giving. Let’s all remember that a few minutes of giving here can mean a world of thankfulness there. Let’s all really focus on putting the Giving back into the Thanks. Question. — A Prompt to the Rescue! I have now officially been daily-blogging for 38 days straight. 38 days. I have 3 days left to meet my self-imposed countdown to my birthday. NaBloPoMo says that I have 10 more days. We’ll see, NaBloPoMo , … we’ll see. So, it is 9:50 p.m. after a long, long day AND after just reading a work-related email that just raised my blood pressure by many points and annoyed me to no end. Thankfully, PhrogMom’s Weblog was there for me, to the rescue, with a link to Suzie81’s Blog and her challenge to answer a few questions. I’ll take it. 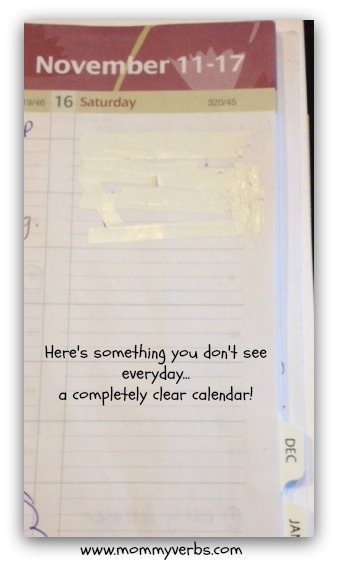 Thanks to both PhrogMom’s Weblog and Suzi81’s Blog for the inspiration tonight…and saving my bloggy arse at the last minute! 1. Why have you chosen your blog name? I have always loved action words. Verbs are my favorite. I wanted a name that would help me keep my writing focused on engaging in action words every day. I’m a Mom and knew that most or many of my stories would be about this parenting journey. So, MommyVerbs was born. 2. When you have an hour of free-time, what do you do? 3. If you could choose to stay a certain age forever, what would it be? I’m completely cool with where I am right now, counting down to 41. Bring it. 4. If you could learn to do something, what would it be? I would love to learn to play the guitar. I regret not learning to play a musical instrument. What an absolute gift it is to be able to make your own music whenever you want it. This is why I am pushing piano lessons on the kiddos…trying to convince them that they want to do this! 5. What would be the first thing you would buy if you won the lottery? Plane tickets. For four. For lots of places. 6. What is the thing that makes you absolutely unique? I am me. First child. Type A. People pleaser. Daughter. Sister. Wife. Mother. Teacher. Writer. Entrepreneur-wanna be. Book tour ready. Oh. Not unique? Well then, here’s something else. I have become more and more claustrophobic as I have gotten older, but I love to have really heavy blankets on me at night. I feel like I sleep better if the blankets are ‘pushing me down’ at night. I think it is also a subconscious way to decompress and wind down after multi-tasky spinning all day long. I don’t know that I have a favorite favorite….but I am thankful to many new blogger friends here in WordPressland: Rarasaur, Jenn’s Midlife Crisis, BonneVivanteLife, Lead Our Lives, who have made me feel so at home ever since I arrived. And I love and admire the work of Finding Joy and Momastery and I Want A Dumpster Baby and so many others…I could go on and on…and on. So there it is. #38. In the books. A few questions answered. It’s late. Call it done. As it is. Done. Bother. — The Little Brother Trick Revealed and Debunked. Years ago, I taught Y the classic and infamous “Little Brother Trick”. Fail-safe. Sure thing. Works every time. 100% guaranteed. You know this, right? The Little Brother Trick? Step 1: You want something that your Little Brother has. Or you want him to do something for you. Or more likely, you want him to leave you alone and do not want to share with him right then. Step 2: Completely and politely ignore him … BUT…go do something nearby that looks gloriously more fun and exciting than anything he is doing at the time. Step 3: As he gets distracted by the amazingly awesome activity you are engaged with and comes over to investigate…slowly and carefully transition him to the ‘new and improved’ game and sneak away to do what you wanted in the first place. Except, I have to say …. this isn’t working for Y. Yes, it seems she is the exception to the rule. She is the anomaly. She is the glitch in the Matrix. Because it seems her Little Bother Brother gets the best of her 9 times out of 10. Two weeks ago, he decided to try to trick her by sneaking in her room, swapping her real five dollar bill with a fake one that he made. Last week, he drew a picture letting her know that that he kidnapped a bear from her room. Yesterday, he was bargaining over 4 quarters and a dollar bill to pay her for helping him (aka getting her to do it instead) clean his room. He’s five. But he seems to be really good at it. And the Little Brother Trick doesn’t work for her. She just wants it too much. Whatever IT is. And he knows that. He’s had her number since the day he took his first step. He is … immune to her tricks. They are so different, these two. In so many ways. Their spirits and personalities are almost complete opposites. How they see the world, how they interact with it. From the minute they get out of bed, until the very last minute before sleep takes over. She wakes up a little grumpy and needs a few minutes to be left alone before much is expected of her. He pounces down the stairs before anyone and is ready to take on the day…after a cup of his caffeine of choice: chocolate milk. She needs 17 reminders to get her jobs done in the morning; brush your teeth and hair, get your shoes on. Hurry! He just gets it done. And then some days. They are completely the opposite of this. They switch roles in a heartbeat. She is up and ready with her hair in a ponytail and her tennis shoes and backpack on. He’s still in a ball in the floor in his Avengers pajamas bemoaning the fact that he has to wear pants instead of shorts to school today. We call it the good child/bad child effect. When one is falling apart, the other one pulls it together. When one’s horns are showing, the other is polishing the halo. She is the Yin to his Yang. And visa versa. And he is the Neo to her Little Bother Brother Tricks. And even though they don’t always get along…they love each other. Because that is what family does…and there’s no trick there. Mark. — How will you remember? As a social studies educator, I have always been fascinated by the intricacies and complexities of public memory. It is the art and science of remembering. Remembering and honoring a place. Or a person. Or an event. Our land is full of monuments and statues and signs. All of these are a mark. A mark that is thoughtful and intentional and sometimes even political. But ultimately it serves as a way of remembering. A unique way of marking time. A way of memorializing for now. And for future generations. In MommyVerb’s lingo: Samuel took a large stone and created a memorial. He marked this place as a way to honor a monumental event in order to always remember what happened … here…then. 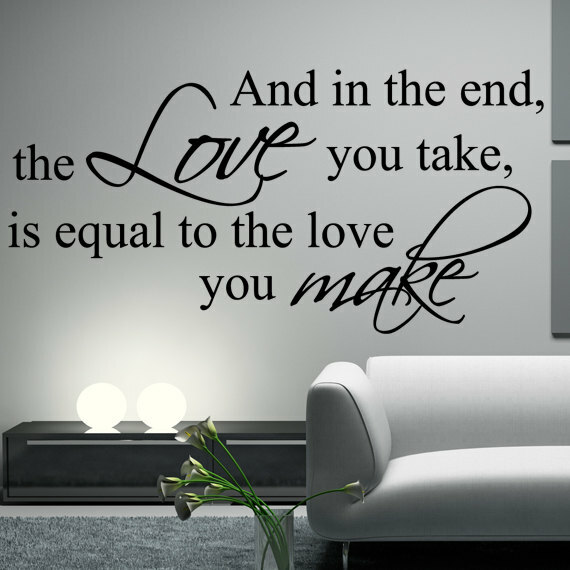 Which makes me wonder…how do we leave our mark? What do we leave behind as a momento that something important happened here? That we did something that matters. Something that needs to be remembered? That we loved and were loved. That we helped and were helped. That we created and were created. That we forgave and were forgiven. We are surrounded by these. By these marks. It might be a gravestone. It might be a tree planted as a memorial. It might even be a road sign or a historical placard. Or it might even be a scrapbook of pictures. Or a book …or maybe even a little ol’ blog. All of these things say, … I was here. I helped here. I was helped here. I hope I made a difference. Why do these marks matter? Once something has happened, once someone has been there…and then it is over or they are gone…why does it matter? Why does it need to be carved in stone? Why does it need to be remembered? Because what we do and what we believe and how we live and how we act…it all matters. And it needs to be remembered. So. Write it down. Take the pictures. Plant the trees. Pile up the rocks or get the tattoo. As a way to remember. Today’s Action Challenge: What is your mark? How do you want to be remembered? What is your memorial to your life’s work and passions? Design it yourself. What does it look like? Is it a sign? Is it a park? Is it a living flame? What is the experience of remembering all of the awesome that is you? Schedule. — What’s Wrong with this Picture? Yesterday, I got an email that canceled Y’s morning Girl Scout meeting. So, I got out my handy dandy white out tape that I L.O.V.E. and erased it from the page. So, you would think that I got a great deal accomplished. You would think that I really made a dent in the never ending To Do list. But I didn’t. I worked all day long on this project or that project. And still I don’t feel like I finished a single thing. That is just wrong. 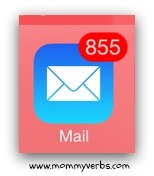 855 emails. You have got to be kidding me. I blame it on NaBloPoMo and the already self-imposed 41 days of blogging that started back on October 13th. 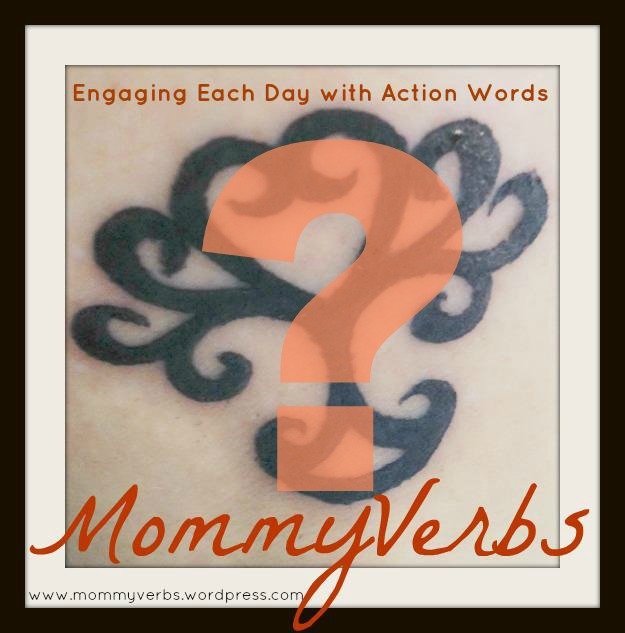 This MommyVerbs post brought to you by a day spent mostly in pajamas, laptop on my lap working on a few projects, interrupted often by tickling sessions with the boy child and quick trip to town with the family, but still almost utterly unproductive. I did take a shower eventually. And I made the bed. Have you ever heard of the economic term, opportunity cost? I think it sounds like it might be a much harder concept than it actually is. Something from that terrible, horrible, no good, very bad college economics class. Simply put, it is … the next best thing. It is the thing we didn’t choose. Opportunity costs become clear when we have narrowed our choices down to two things and we can pick only one of them. The opportunity cost is the thing that is still on the table. It is the value of the thing that we didn’t choose. It is the thing that came in second place behind our first choice. As Tired Working Mommas, (and as Tired Working Daddys), we make a lot of choices during each day. And each of those choices has an opportunity cost. We choose where to go. We choose what to do. We choose what to eat and who to call. We choose how we spend our time and our energy. And the things that don’t make the list, the next best things, are the price we pay, what we give up, for what we do. Today, I chose a grey skirt over my favorite blue jeans. Then I chose to go support a friend at a doctor’s appointment for an hour today instead of having a lunch hour … and ate a salad at my desk while I answered emails. This evening, I took the kiddos to work at the Food Pantry instead of enjoying a casual Friday evening on the couch. …actually, this is perfect. I don’t have a ‘next best thing’ for this. Today’s Action Challenge: We all know that grown up decisions are hard. Our time is limited. Our energy is limited. Our resources are limited. So, how do you decide? Where will you spend your time and energy? Start being intentional about your choices and your ‘next best things’. Is the reward of this thing, better than the cost of not doing or having that thing? Meditate. 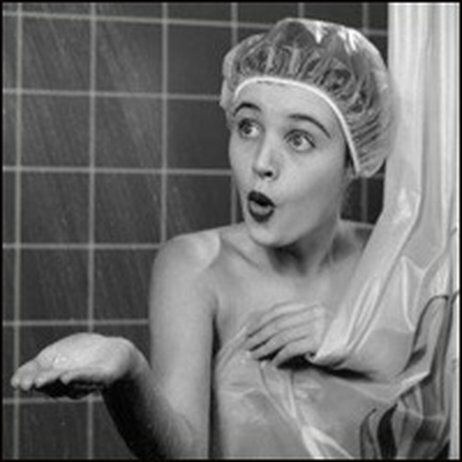 — For Mommas…In Real Life…In the Shower. My alarm clocks starts making noise at about 4:30 a.m. Not because I have to get up that early, I just have a lot of morning routine things that I try to do. The key word there being… try. I try to catch up on random projects. And I’ve even tried to add in some meditation. I continue to try to add in the Chopra/Oprah 21 Day Meditation Challenge. In my dreams, I want to be that Mom that meditates and does yoga and feels all centered and balanced. But come on, did you just meet me?! The first few days, I get comfortable and listen to Oprah give her introduction. I pay attention to Deepak as he leads me to … and through… the centering thoughts and the mantra. I giggle when he first says that he will ‘mind the time’ for me. I get through the first week or so. But then I start getting so distracted and my quiet time is so limited, that I start working on other projects and ideas during my ‘meditation’ time. I doubt my drafting in WordPress while Deepak tells me about creating my Matrix to the sounds of ocean waves in the background is exactly what they had in mind. Plus, with all that talk of the Matrix coupled with the sound of the ocean, I keep getting all distracted by thoughts of Keanu. Yes, Keanu at the beach. Circa Point Break. Hmmmmmmmm. Then they really lost me when I wandered to the website and realized that I could download this series for 39 bucks OR get the three part series for a bargain 99 bucks. The whole soul searching, find your perfect health and destiny thing became a little cheapened for me. It is another (brilliant) money maker for two people that 1) don’t need any more money and 2) don’t live in the real world with us anymore. So, the distraction of Keanu and the giggling over Depak’s phrases, plus the amount of money that they are both raking in…put that all together and I decided that we can do better. 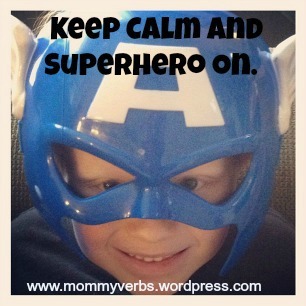 The MommyVerbs Meditation Challenge: Keepin’ it Real….in the Shower. The Keepin’ it Real in the Shower meditation journey starts whenever you have a chance to start. It is up to you. Do it when you can. Skip it when you are tired, or in a rush or just forget. It is here when you need it, but no pressure. MommyVerbs will be your guide each day as you discover all of the things that you do and all of the amazing ways that you are…. all while in the shower. Come on, now. I’ve mentioned this before. Mommas everywhere know that this is probably, maybe, the only 10 5, if we’re lucky, minutes of solitude during our days. We multitask every other part of our day, so we probably won’t notice one more thing. So, use your time wisely. Meditate while in the shower! Here’s a few centering thoughts and mantras to get you started. 21 Days seems ambitious to us, too, so 5 will get us started and as for you … do what you can. Day 1: Centering Thought: Ahhhhh. Mantra: I hope my hot water heater holds out! Day 2: Centering Thought: Shhhh. Mantra: What will I pack the kiddos for lunch? Day 3: Centering Thought: Hmmmm. Mantra: What will I wear today? Day 4: Centering Thought: Whoooooo. Mantra: I need to go to the grocery store. Day 5: Centering Thougth: Siiiiiiggggghhhhhh. Mantra: Nevermind all of that. I just need to shave my legs. Today’s Action Challenge: How do you center and calm yourself? What do you do to slow down and focus? Add in time to do these things for yourself.